Editorial Design der zweiten Ausgabe des Magazins Companion von Freunde von Freunden, Berlin. 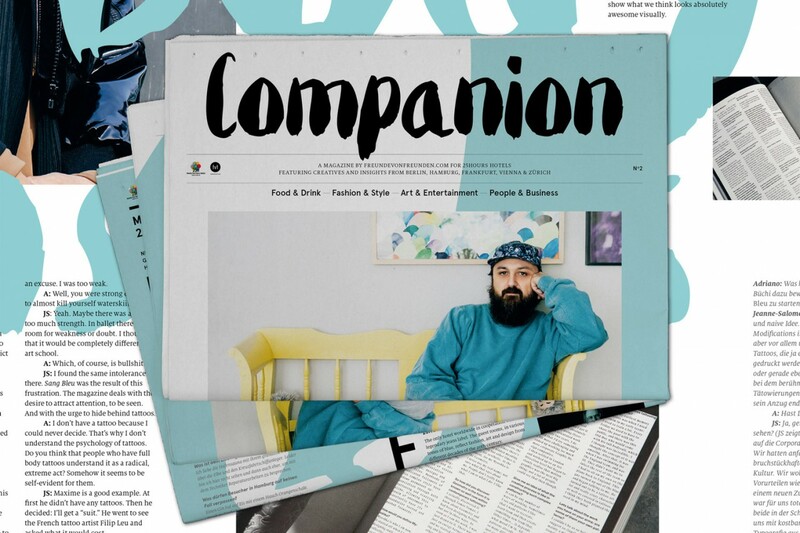 Companion is a magazine for 25hours hotels, developed to guide guests through the city with help from trusted local networks of creatives. Companion features cover arts, design, fashion, business and urbanism from Berlin, Hamburg, Frankfurt, Vienna and Zurich. Die Arbeit entstand zusammen mit Stephan Schuster.